Akin Gump's Chip Cannon and David Applebaum take a look at the new FERC commission and its upcoming priorities. Their remarks have been edited for length and style. CCBJ: Tell us about changes in FERC leadership and what that means for the commission’s priorities. Chip Cannon: We basically have a brand-new commission. Some of the new commissioners – in particular the new chairman – don’t have much of a public track record on key issues facing the commission. Much of the industry is waiting to see how the new chairman will make his mark. David Applebaum: The chairman gets to set the agenda. Often, chairmen have their own priorities, but those priorities aren’t set in the abstract, since the commission is necessarily affected by technological developments, market developments, what’s going on in the industry and what may be important to Congress. So FERC has the ability to focus the industry on core issues important to the chairman and commissioners, but is also reacting to many externalities. PURPA, the Public Utility Regulatory Policy Act, appears to be a key topic at federal and state levels. Can you explain how it’s likely to play out? Cannon: PURPA was a response by Congress in 1978 to the energy shortages of the 1970s that was intended to create a market for energy-efficient generation resources and certain kinds of renewable technologies. At the time, there were basically no markets as we think of them today. And even if you had efficient technology for generation, no one was required to buy the output. But with PURPA, Congress said if you meet certain conditions, we’re going to require the utilities to purchase your power. Utilities and some state commissions have always resisted the mandatory purchase obligation. But in the early years, co-generation facilities (and later renewable developers) relied on it heavily as a market for their output. But now we have competitive power markets. A key part of the debate over PURPA is that certain industry stakeholders are concerned that, with so many renewables coming online, the purchase requirement may be causing system reliability issues and requiring ratepayers to pay higher electricity prices than they would otherwise. After 2005, it was determined that we have wholesale competitive markets in certain areas of the country. If you’re a renewable developer in those markets, then you have access to those markets, so you may not need PURPA. But if you’re a small developer, then maybe your access to those markets isn’t enough. Maybe there are certain administrative impediments for accessing those markets. In certain areas, most notably the Southeast, where you don’t have competitive markets, there’s not much discussion about rolling back PURPA. The question is whether there is still a need for ­PURPA in the organized markets of California, PJM, ISO-New England, MISO, NYISO and SPP. Applebaum: I think it’s fair to say that big changes to PURPA could only come if Congress enacts legislation, but there are some things that FERC can do around the edges. Since we’ve had a quorum, they’ve been digging out, trying to issue orders, so there’s the question of whether they’re going to continue to look at PURPA issues. What other issues are of critical concern going into 2018? Cannon: The one issue that most of the power industry is focused on is the Department of Energy’s Notice of Proposed Rulemaking for Resiliency Resources. It’s also the case that some of the underlying issues in that rulemaking are about how to address price formation. They were a priority of the previous commission, as well as pricing the right attributes and reforming the organized markets. There’s been a lot of study on price formation and the organized markets and how that relates to the capacity markets. FERC has been looking at this for several years, as have the organized markets. Applebaum: For various reasons – including, of course, the lack of quorum for much of 2017, compared with a fully staffed commission now – there’s more reason to be optimistic at the beginning of 2018 than there was last year that big price-formation–related initiatives will be closer to being finalized. We may well see some significant rule changes and policy initiatives on this important issue before the year is out. Applebaum: Last June, FERC had a tech conference on developments in natural gas index liquidity and transparency. The comments from the conference have been in for several months, and the market is waiting to see what the new commission will do. But there has been concern about whether some of the indices are sufficiently robust and liquid, and whether there should be changes in the reporting rules. In addition, both FERC and the CFTC look at price reporting in their investigations as part of a potential manipulative scheme. In its most recent annual report, FERC provided some transparency on a price-reporting enforcement matter that it closed without further action: A market participant had been incomplete and inaccurate in some of its price reporting, and FERC opened up an investigation to determine whether that was part of a scheme to move prices in a manipulative manner. But it closed the investigation because it found the inaccuracies were due to sloppiness rather than to an intentional scheme. Where do things stand in terms of renewable port­folio standards? Cannon: RPS development in 2017 was primarily characterized by the fact that, in areas where there was a change in RPS, it was either neutral to or strengthening RPS. Changes in net metering programs at the state level. There has been concern that the credits given to net metering customers are too generous. The concern that has been raised by some in the industry is that they don’t reflect the burdens that net metering can place on the system. As a result, credits in some states are being adjusted downward – subject to certain transition periods – to take those costs into account. We’ll probably continue to see some movement in this area at the state level. Energy storage. There has been a significant uptick in energy storage deployment in the past year. There are many technological and price reasons for this. And in the past year, there has been an uptick in utilities including energy storage projects in their state­mandated Integrated Resource Plans, which makes it easier for energy storage projects to bid to meet the utility’s needs over the IRP’s timeline horizon. There have also been a number of regulatory efforts at FERC to better ensure that energy storage projects at the wholesale level are being fully compensated for the benefits they provide to the system. What’s likely to happen in enforcement in 2018? Applebaum: The new commission and new chair haven’t yet had the chance to weigh in on enforcement issues, but they will soon enough into the new year. Because of some federal court rulings, there’s very likely to be a change in certain procedures about how electric market cases proceed through the commission and are filed in federal court. Though some changes were likely to occur anyway as a result of those federal court decisions, with this new commission, there will probably be even greater change. There was an annual report on enforcement, issued at the end of November, in which the new commission reaffirmed that the basic priorities of the enforcement office prohibiting market manipulation, electric reliability violations, violations of the transparency rules and anticompetitive conduct will remain. But to see how these priorities – especially on market manipulation – translate into specific new policies or directions probably depends heavily on case-by-case judgments. Basically, I mean what specific cases FERC decides to settle or litigate, on what terms and what reasoning the commission provides on why the facts support a violation. It’s important to keep in mind that Congress has given FERC a significant enforcement mission, so it’s not likely that FERC would pare back too much on that even if it is ultimately less aggressive than previous commissions. This is a subject of debate in the market, but most likely any major change to FERC’s approach to enforcement would need congressional buy-in – and it’s not at all clear that there is congressional will to cut down significantly on FERC’s enforcement approach. It will be interesting to contrast any FERC enforcement initiatives with the CFTC, where the new CFTC chair and new enforcement director have made it very clear in numerous speeches, testimony and other statements that not only are they going to continue to focus on enforcement, but they are going to be aggressive about it, particularly with respect to market manipulation. David Applebaum co-heads Akin Gump Strauss Hauer & Feld LLP’s energy regulation, markets and enforcement practice. His practice focuses on energy regulatory enforcement before the Federal Energy Regulatory Commission (FERC) and other agencies, as well as complex civil litigation, government enforcement, and internal investigations on behalf of energy and other clients. He can be reached at dapplebaum@akingump.com. 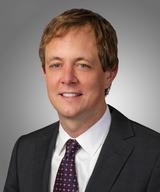 George (Chip) Cannon, Jr. co-heads Akin Gump’s energy regulation, markets and enforcement practice. He focuses his practices on energy regulatory and commercial matters, with a concentration on the production and delivery of electric energy and related products, including from wind, solar, hydro and other renewable energy resources. He can be reached at ccannon@akingump.com. David Sweeney and Andrew Lehman, partners in the oil and gas practice at Akin Gump, have different – but complementary – specialties. Sweeney focuses on acquisitions and development, while Lehman works on mergers and acquisitions. We spoke to them about the recent surge of deals in the oil and gas sector, and how recent regulatory developments in the United States and abroad could impact the industry’s outlook going forward. Supply side and market challenges, along with competition, are abundant in this growing sector. For investors and companies looking for renewable opportunities to back, lower but more reliable returns are rewarding. Akin Gump’s John Marciano and Daniel Sinaiko explain why.